Previously, Famitsu had teased the first major information batch of Warriors Orochi 4 on their Weekly Famitsu magazine which mainly states that the game will have 170 playable characters. Several Japanese game blogs have posted further information found in the magazine, which also has an interview with the game’s producer Masaki Furusawa. We have compiled the information right below. Furusawa noted that Warriors Orochi 4 development started about 1.5 years ago, from the end of 2016. Which means it’s also confirmed that this game was created in parallel with Warriors All-Stars. Orochi 4 will have a total of 170 playable characters, and five of them will be brand-new characters to the series. However, Furusawa mentioned that collaboration guest characters such as Ninja Gaiden‘s Ryu Hayabusa and others will not return in this game, because the team wants to go back to the roots and focus on building relations between the two main title eras featured in Warriors Orochi: the Chinese Three Kingdoms period of Dynasty Warriors and the Japanese Warring States period of Samurai Warriors. 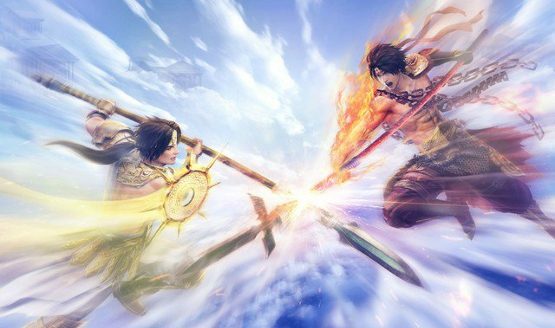 The five brand-new characters added are teased to be deities from the Greek Twelve Olympians such as Athena or Poseidon, but the first character confirmed among them is Zeus, who will be the new central antagonist of Warriors Orochi 4 as he brings back the parallel world originally created by Orochi. While this game will add new maps such as a Greek Parthenon-styled stage, it doesn’t mean that the game’s storyline would focus on Western mythology, as the series’ titular antagonist Orochi will still be a key figure in this game. In the interview, Furusawa also expresses a desire to have a showdown between Orochi and Orochi X, who both appear as separate entities here. By the way, this game’s story is being supervised by Yoshitaka Murayama, who was famous for creating the Suikoden series at Konami. Warriors Orochi 4‘s storyline continues off from the true ending of Warriors Orochi 3 where the Dynasty and Samurai Warriors heroes returned to their original worlds and lost their memories of what happened in past Orochi titles. This setting would help the team in developing new character relationships from scratch, and the groupings of characters who would become allies and enemies are also being renewed. However, the Orochi-exclusive mystic characters (such as Fu Xi, Taigong Wang, and Susanoo) do not lose their memories, so they will be able to reminisce what happened in the past. Warriors Orochi 4 will retain many of the series’ gameplay features such as the player controlling a three-man party, character types like Power or Speed, move sets using the series staple Charge system, a facility to strengthen characters at the base camp, a Free Mode-like feature that lets people replay stages that have been cleared, and online & offline co-op multiplayer. However, this game will also add a new Divine Technique action system, which can be unleashed with the new Sacred Treasure items which are equipped separately from weapons. Sacred Treasures also have their own type groupings separate from character types, and each of them will activate different kinds of Divine Techniques. The new costumes of Zhao Yun and Sanada Yukimura in the above screenshot are also explained. They are some of the few key story characters who will have a new Deification feature. After reaching a certain point in the storyline, by fulfilling specific requirements these characters will receive deity-like costumes and can also unleash more powerful actions. As of this article, Warriors Orochi 4 is planned to be released for PlayStation 4, Nintendo Switch, and PC via Steam in Japan around Fall 2018. However, Furusawa noted that the Steam version would be released later than the console releases.